Over the last 4 years we’ve certainly had a lot of bikes at the annual sale. Beyond the stuff we run across in our daily travels we’ve been selling through a collection of roughly 200 bicycles from fellow collector Leo Knuf. 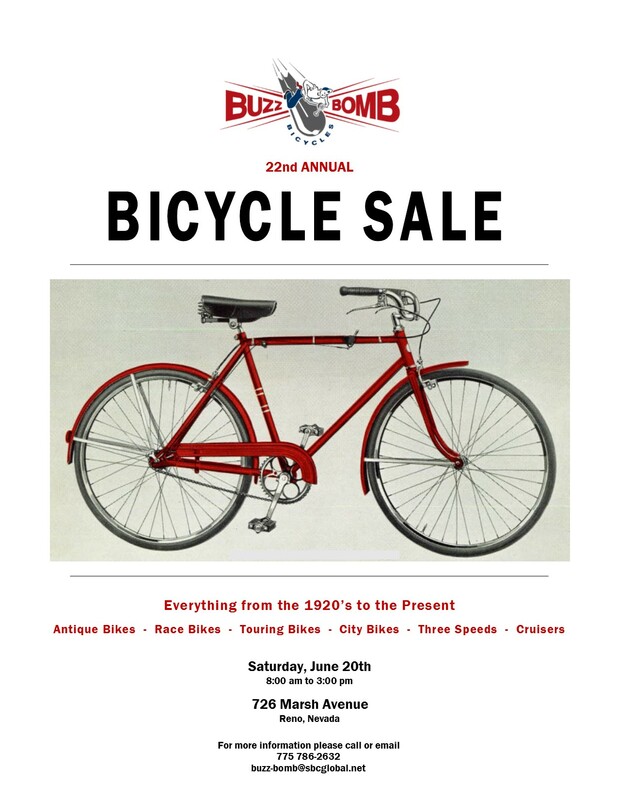 We’ll again be selling a mix of our stuff and Leo’s including vintage balloon-tire and middleweight bikes, three speed British bikes, old racing and touring bikes and a smattering of BMX, Stingrays, folding bikes and other strange stuff.